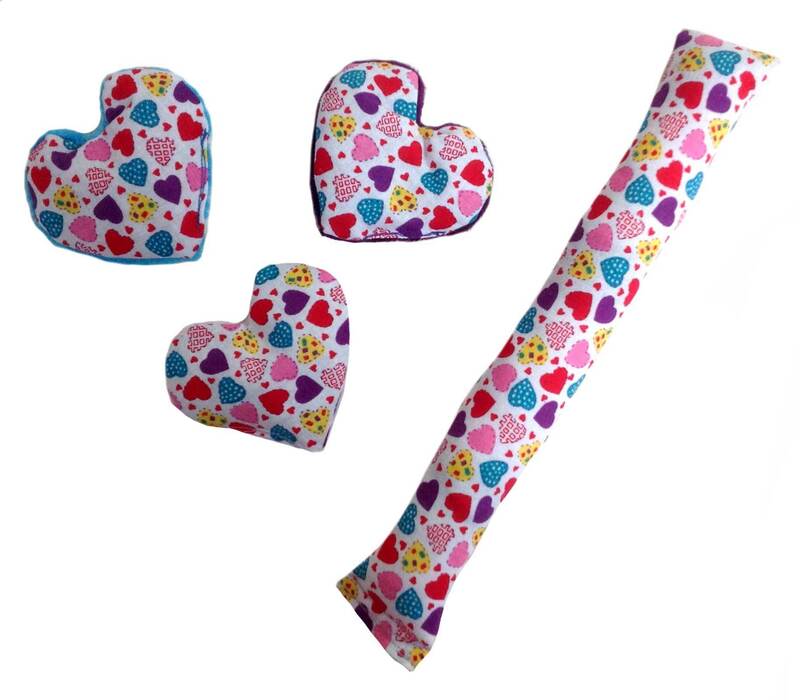 Show your kitty just how much you love her with this new Valentines Day heart and kicker cat toy. Each toy is filled with our 100% POTENT organic catnip (kickers are filled with catnip and polyfill). Made with 100% cotton print. The heart is backed with a coordinating color of our extra-soft Minkee fabric. Comes in a kicker and a heart - every toy at the catnip cafe is handmade! * About our Catnip: We use only the finest 100% organic catnip in our toys. It's grown in the USA without pesticides on an organic farm. All of our catnip toys are filled with our finely cut, long lasting catnip.